Looking for something to nibble on tomorrow night while watching the Oscars? Oscar worthy onion dip won’t disappoint. You can make this onion dip ahead, in fact I strongly encourage it to bring out the sweet caramelized flavors from the onions. This is a quick, and easy dish to make. I’m sure your guest will love it! You can make this snack as healthy or unhealthy as you want. It tastes great on chips and also veggies! I made this a bit more healthy by using some greek yogurt; however you could use sour cream if you like. 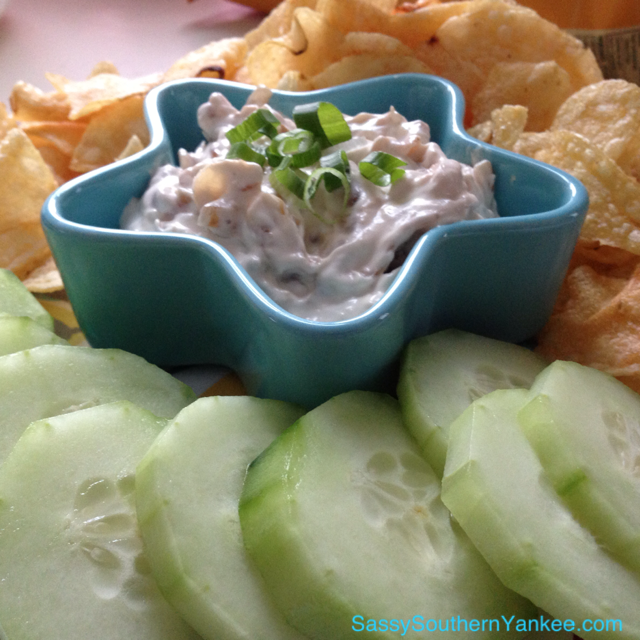 Once you have had homemade onion dip, I can assure you that store-bought dips with be a thing of the past! If you are watching your waistline trying to get red carpet ready yourself than this dip is for you. It’s a bit healthier that your run of the mill onion dip. I love it paired with some cucumber “chips” as they provide a healthy crunch. Enjoy your weekend everyone! Let’s get started! Peel the onions removing the first outer layer. Next slice the onions so that they are about 1/4 inch thickness, like an onion ring. In a medium skillet add in the coconut oil or butter on low. 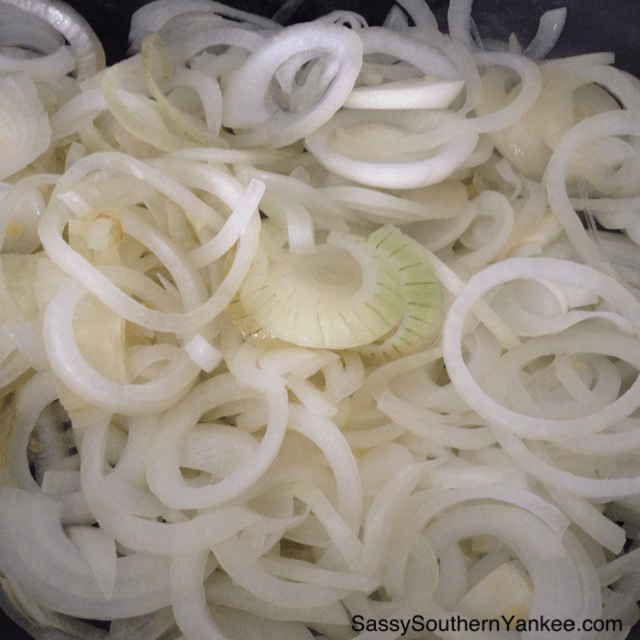 Add the onion slices and cook until they begin to caramelize. cooking for about 15 min. Once they start to caramelize add the brown sugar and keep string until they reach your desired color. I love mine super dark because of the rich flavor that develops. If you need to you can add a bit of water or beef stock to the pan to allow them to caramelize a bit longer without burning. Set pan aside to cool while we make the “dip”. In a medium bowl combine the greek yogurt, mayo and Worcestershire sauce. Stir until all ingredients are smooth and creamy. Once the onions are cool add them into the yogurt mixture and place in the fridge covered for at least one hour. I have found that the longer you can let this dip sit the better the flavors. I would love to hear your thoughts on the Oscar Nominees this year. Also what’s your favorite Oscar viewing snack? 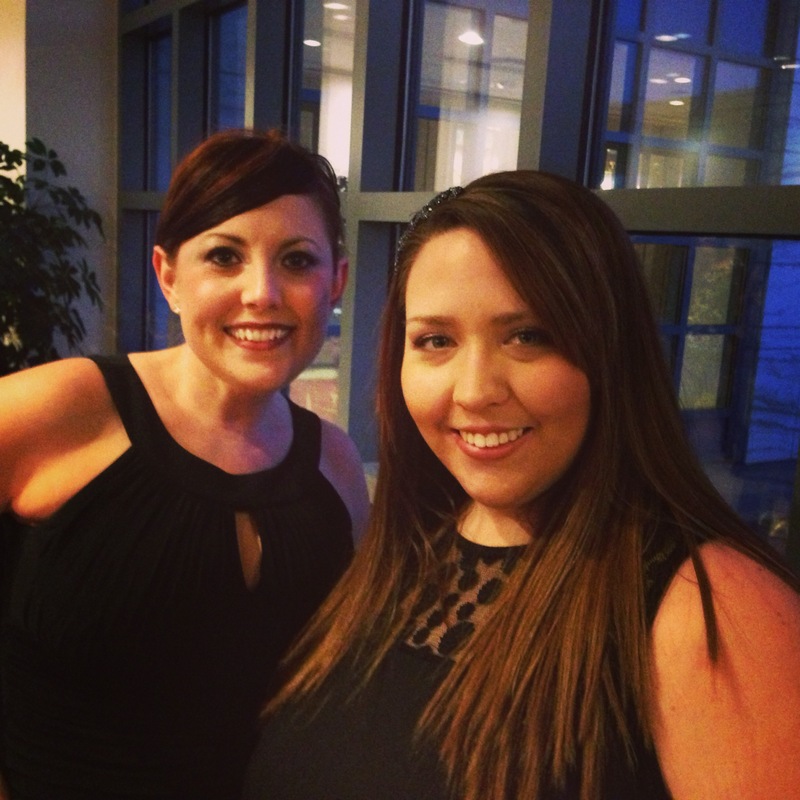 My BFF and I at the Oscar Preview Party. Happy Birthday BFF! If you are watching your waistline trying to get red carpet ready yourself than this dip is for you. It's a bit healthier that your run of the mill onion dip. I love it paired with some cucumber "chips" as they provide a healthy crunch. Enjoy your weekend everyone! Let's get started! Peel the onions removing the first outer layer. Next slice the onions so that they are about ¼ inch thickness, like an onion ring. In a medium skillet add in the coconut oil or butter on low. 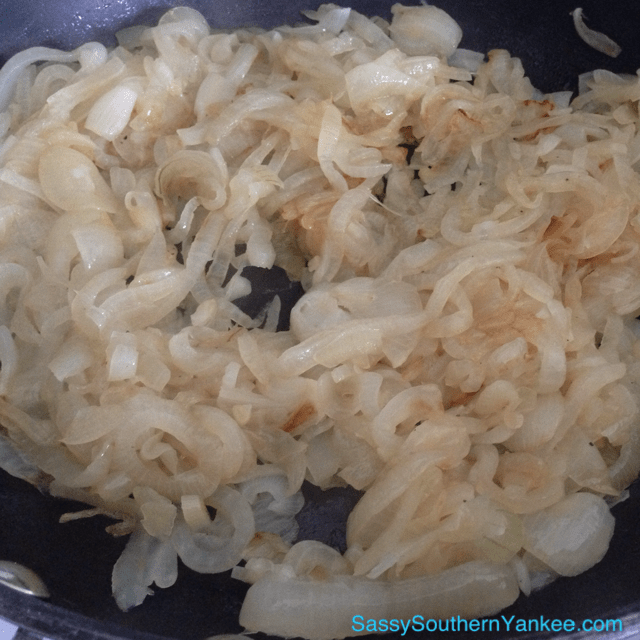 Add the onion slices and cook until they begin to caramelize. cooking for about 15 min. Once they start to caramelize add the brown sugar and keep string until they reach your desired color. I love mine super dark because of the rich flavor that develops. If you need to you can add a bit of water or beef stock to the pan to allow them to caramelize a bit longer without burning. Set pan aside to cool while we make the "dip". 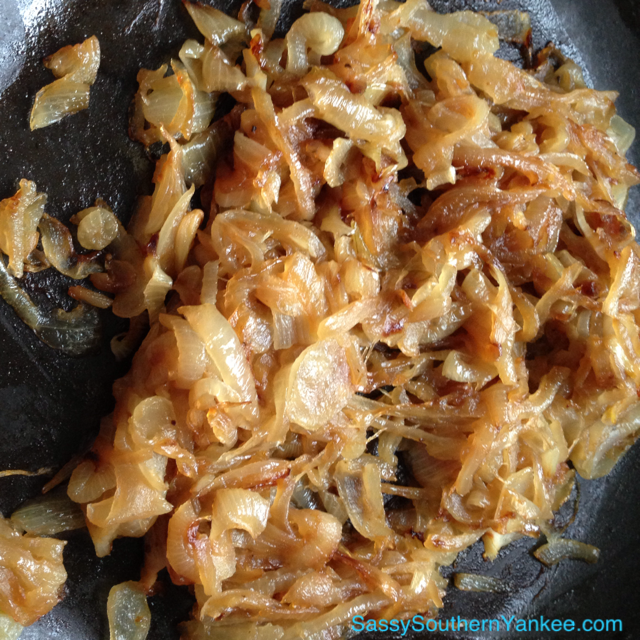 This entry was posted in Side Dish and tagged Award Winning Foods, Caramelized Onions, Dips, French Onion Dip, Greek Yogurt, Onion Dip, Onions, Oscar, Oscar foods, Party Dips, Party Foods.